The Boeing 787 Dreamliner is officially in service. All Nippon Airways carried its first load of paying passengers on a special flight from Tokyo to Hong Kong on Wednesday. There was plenty of pomp and circumstance surrounding the flight, and the passengers — including some who paid many thousands of dollars to be on the first flight — were all enthusiastic about flying on the composite airliner. 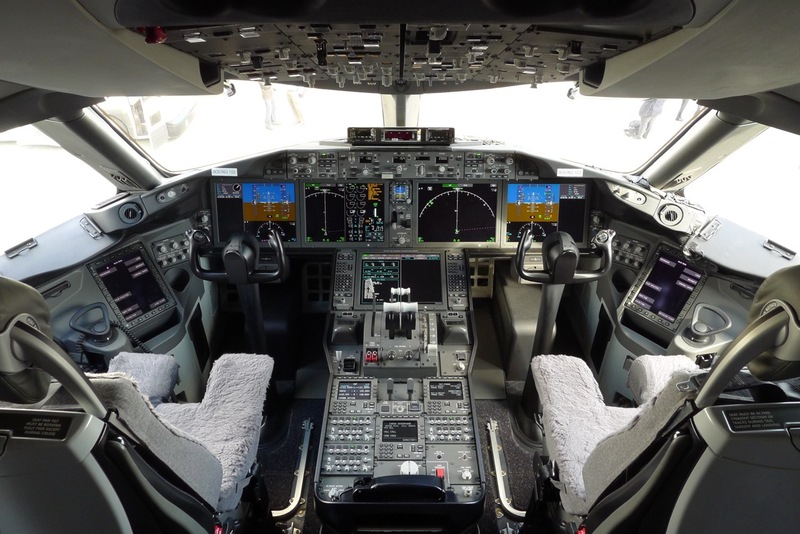 As much fun as it might be to ride in the back of the new Dreamliner, we thought it would be more fun to look up front for a detailed look at where the pilots sit. So here is the tour of the newest airline cockpit around. The photos were taken in one of the two 787 Dreamliners delivered to All Nippon Airways this month. The Japanese airline expects to have seven by the end of the year. Everything in the cockpit seen above is part of the normal 787 airplane except the small panel on top of the glare shield which is used during flight testing.